What is Retail Arbitrage and How Can I Start? Retail arbitrage is not a new idea. It isn’t particularly clever, hard, or ground breaking either. However, it is a fantastic way to start a side hustle that can turn into a full time business. The subtle art of retail arbitrage is just getting out and finding price discrepancies between markets. Your market is your local grocery store, Walmart, Target or Kohl’s, among many other possible retail stores. The easiest place to find price discrepancies would be on eBay or Amazon. Then you purchase the items and sell them for higher prices. This will in turn make you a profit. Congratulations, you are now a retail arbitrageur! Yes, that sounds ridiculously easy. The matter of the fact is that is incredibly over-simplified. Today, I am going to give you four, real world, practical tips to getting started on starting a business with retail arbitrage. Seems obvious, I know. The thing is that many people will not take the time to learn and they will make mistakes, get discouraged, and quit. It’s just a fact. Start by reading. Arbitrage by Chris Green is where I started. Then you should move onto some blogs. Entreresource.com by Nate McCallister, my own ClearTheShelf.com, and FBAMaster.com are some of my favorite reads. Next, join some Facebook Groups. 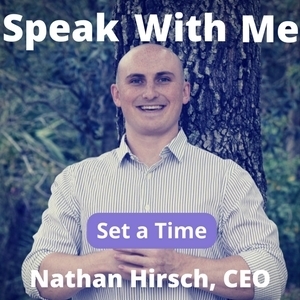 This is a great way to ask questions, make connections, and even find business partners. Some of the groups I would recommend are FBA Today, FBA Master, and Amazon FBA Newbies. These are great places to ask questions. Lots of people want to see others succeed and they are eager to help new folks. Choose to master either eBay or Amazon. Each individual seems to like one platform over the other. I like Amazon. I appreciate how I have been able to grow my business by leveraging a massive distribution channel. eBay has its moments in the sun though. If you like to antique, garage sale, or thrift sell, eBay may be for you. Many people go there for nostalgic items that are difficult to find on other marketplaces like Amazon. eBay boasts one of a kind items. This includes even weird and creepy items that you just cannot seem to find on Amazon. Once you have chosen the platform you would like to master, dig into the rules, best sellers, and product catalogs. Get a feel for what you should be selling. I believe in selling what sells…not selling what I like, unless those two happen to intersect. There is a ton of opportunity out there to make some money. Go find it! The first tool that you will need is a smart phone. Chances are you are reading this on such a device. If you are reading this on a Jitterbug, STOP! Go get an iPhone or an Android smart phone. If you choose eBay as your selling platform, you will need the eBay app. It’s free. This app will allow you to search eBay for items that are currently selling as well as see items that have sold. It will even show you the price the item sold for. If the item you might want to re-sell has a UPC code, you can even scan it and look for matching items. Amazon has many, many tools available. To get started I would suggest the Amazon Seller App. This requires a Professional Seller Account with Amazon. You will be able to scan items and gather pertinent sales information about sales rank and current prices on the Amazon marketplace. If you want something with a little more horsepower I would suggest something like Scanpower Mobile. It is also free but offers links to charts, competitor information, and so much more. I will need to write an article just on the Amazon Scanning app. If you are really serious about starting with retail arbitrage, I would also tell you to buy a scanner. This will sync to your phone and will make scanning bar codes much faster, easier, and less taxing on your battery. The best place to grab one of these is from my friend Dean Jayroe. Make some mistakes. Invest some money. Learn the process. This is the best way to learn quickly. Pay to play. Buy some items to sell, get them listed, then learn. Take your profits and re-invest. It’s not rocket science, but people will not do this part of the process. I am unsure if it is because they have analysis paralysis or they are afraid to make a mistake and lose some money. Honestly, neither of these are good reasons not to get started. Start hitting some local stores, garage sales, thrift stores, and flea markets. Whatever you fancy. There is money literally laying on shelves and tables in all of these places. Even Gary Vaynerchuck discusses flipping products on eBay for profits. Do me a huge favor. 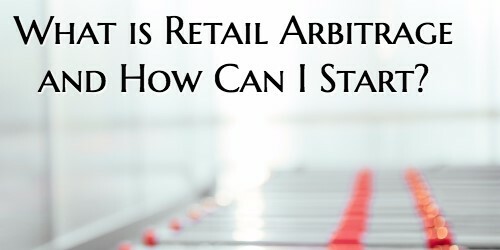 Let me know know what questions or tips you have in the comments below about getting started in retail arbitrage. I will get them answered or include your tips in some follow up posts. I think using smaller platforms like Etsy or Jet can also be profitable, just depends on the product. Not exactly sure what retail arbitrage meant. Happy to have come across this article. Best investment I think to start off with is knowledge. So, know what you are really doing and master that. Great to hear about this program! How do I sign up for a free trial? Hey Laurine, if you mean the eBay app, just download it from the app store (depending on your device’s operating system) and follow the prompts. If you mean FreeeUp, just sign up – it’s totally free to join the marketplace.